What is the Most Common Use of an Attorney? - Law Office of April D. Porter, P.C. Family law is complicated. When children or a significant amount of assets are involved in any type of legal proceedings, hiring an attorney is in your best interests to ensure everything goes smoothly. When it comes to South Carolina family law, the two most common uses of an attorney at law are divorce proceedings and custody battles. A South Carolina family law attorney will know the ins and outs of the court system, can file motions on your behalf, present evidence and network with individuals of the court to help garner the best possible outcome for you. Couples most often hire separate attorneys when there is a significant amount of money and assets involved in a divorce. Even if a prenuptial was signed, the process of splitting up assets can get tricky. Depending on how complicated the case is, the attorney at law may appear on your behalf in meetings with an arbitrator or appear in court as your representation in a South Carolina civil litigation hearing. During the initial consultation, your attorney will ask you a significant amount of questions that pertain to your previous relationship to determine if you have a winnable case. In many cases, these questions will be directly related to issues within the home, trust issues, potential adultery, domestic abuse, disagreements, financial matters, children and more. Whether your divorce is contested or non-contested, an attorney will help alleviate much of the stress that’s involved with the process. Child custody cases are messy. As an experienced South Carolina civil litigation attorney, April D Porter has handled many cases involving custody disputes between parents, and has insightful knowledge regarding how much stress it puts on both the parents and the children. Every type of child custody case is complex because the courts must decide what is best for the children involved. 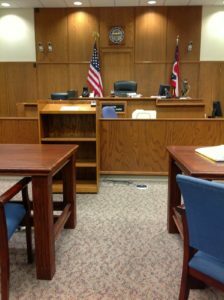 Judges and arbitrators carefully weigh the positives and negatives of each parent, the evidence presented, and the home environment before ruling on each case. Because child custody cases require a significant amount of legal paperwork and court appearances, an attorney such as April D Porter is essential to securing an outcome that is in your best interests.